Everyone knows the lures of Japan in the spring; the beautiful pastel shades of pink and white from sakura and the many celebrations that take place during this very sacred part of the year. But what happenswhen that finishes? When you’re left wondering how to enjoy summer in Japan? There is so much on offer for every kind of person, those seeking tranquillity on a holiday to Japan, or exploring culture and ancient history at the many festivals. But before you go you’ll need the details, the inside track for where to go and what to do in the summer in Japan. There are over 100,000 festivals that annually take place in Japan, with the most traditional and popular taking place between July and August. Firework or dance, you will be able to try the best summer foods on offer in Japan, all while enjoying the best festivals in Japan. Lasting an entire month, the Gion Festival is 1,100 years old and preserves historic tradition in the country. It is one of three great festivals in Japan that has continued to be celebrated at Yasaka Shrine in central Kyoto. Not only is the Gion Festival the biggest in Kyoto, it is also one of the biggest in the whole of Japan. It is an authentic celebration of the city’s culture, the festival was originally been held as pray for deliverance from plague. The Tokushima Awa Dance Festival is a spectacle that will stay with you forever. One of the most popular events in Japan during the summer, thousands of people flock to the streets to dance no matter their level of ability. If you’re someone who likes to slip on your dancing shoes then you can, anyone and everyone can participate. Awa Odori can be dated back to 1587 when a party was organised to celebrate the newly-built Tokushima Castle by Lord Hachisuka Lemasa (1558-1638). The festival is held during the Obon week, which is an annual Buddhist event that allows people to commemorate their ancestors and a time when their spirits return to this world to visit their relatives. It is an occasion that is both passionate and significant for the Japanese people, but when you see everyone dancing without a care in the world you will be compelled to join in. With more than 1,000 events held each year you’re likely to come across a full range of celebrations and while the hot and humid conditions may leave you reluctant to be involved during the day, there is plenty going on at night. Fireworks (called hanabi in Japan), which originated in Asia were originally used to keep evil spirits at bay and have a long standing history in Japan. They have become an integral part of the summer in the country with millions of people staring up into the sky at the beautiful displays. Throughout late July and August the skies above Japan burst with bright colours as fireworks dazzle thousands of spectators below. 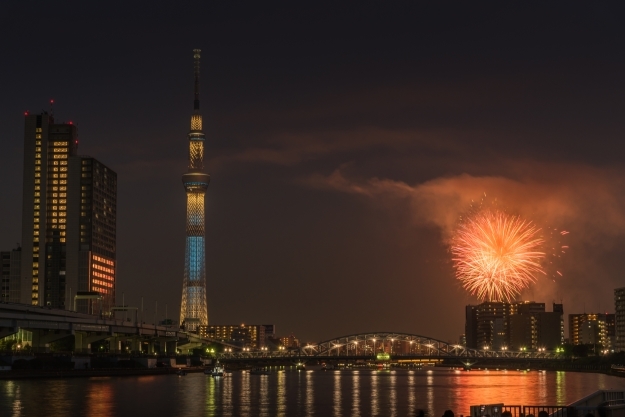 It is believed that the Sumida River fireworks is the oldest fireworks festival in the world, drawing in over one million people to the banks of the Sumida river in Tokyo each year. It dates back to 1733 when, following a severe famine and a rise in the price of rice enraged the locals. To raise their spirits, the Shogun (Yoshimune) allowed for there to be a fireworks festival on the Sumida River. Many of us will have only really experienced fireworks in a muddy field for a small town celebration, perhaps the New Year celebrations. Putting those against the Sumida festival is like making a sloth race a cheetah. Expect more than 22,000 fireworks, millions of spectators and countless other festivities. It may not be quite the size of the Sumida festival, but the Omagari Fireworks Competition certainly holds its own as one of the most spectacular events during the summer in Japan. More than 750,000 spectators descend upon the Tohuku region for its biggest fireworks festival. Omagari is a national competition, where at least 30 firework makers from across Japan compete for the crowds. Displaying their skill, craft and technique, this has been running for over 100 years, when fireworks were used as an attraction during a festival at the Suwa-jinja shrine in August 1910. 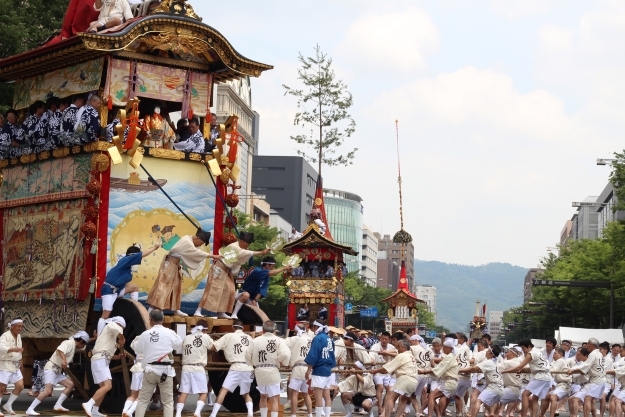 Held on the 4th Saturday in August every year, the competition takes place on the dry river bed of the Omono-gawa in the city of Omagari, this is a really special occasion not to be missed. Japanese cuisine is known the world around, famous for its raw ingredients and health benefits. However, not many people know that there are actually specific summer dishes. The seasons affects what foods you have on offer as well as taste, ingredients and even the temperature of dishes. This is why you will find a wide selection of colder meals, as well as iced options, while in Japan. Food is very seasonal. While you may enjoy a stew in the winter you’ll be tucking into something lighter in the warmer months. This is no different in Japan, and is why a dish like Somen is a great option for anyone tackling the humidity of a Japanese summer. The traditional meal is a version of noodles, but served cold. Across the country you can find a wide choice of cold noodle dishes, but the hallmarks of Somen are the thin white noodles that have been dipped in tsuyu (a sauce) and left to cool. It is refreshing while filling and is readily available across Japan. If you’re not up for a full meal then the delicious Kakigori is a must. Simply put, it is shaven ice in a cup which alone may not sound that appealing, but when you have added the syrup it becomes the Japanese equivalent of a Slush Puppy or snow cone, just tastier and presented much better. There are a great range of flavours to savour, ranging from strawberry, cherry and melon to green tea. Popular as a lunchtime meal in Japan, grilled Unagi – freshwater Japanese eel – is quite expensive in comparison to other dishes you will try, but it utterly unique and delicious. Mixed with a sweet soy sauce and rice, the slight crisp to the Unagi makes it a real treat. It is sure to give you plenty of energy which will be vital during the hot Japanese summer and has been a stamina food since the Edo period (1603-1868). Packed full of vitamins, protein and omega 3, it is guaranteed to boost your mood and satisfy your stomach. 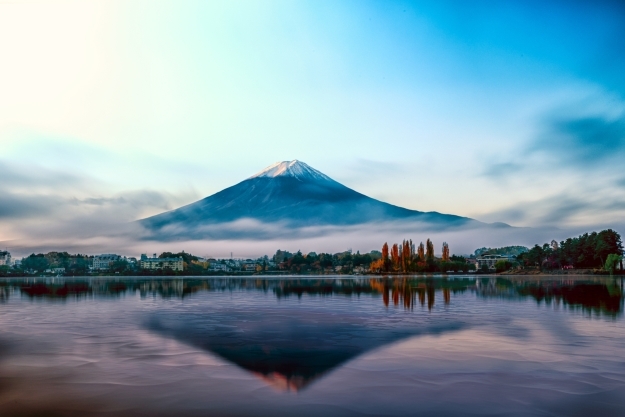 It may not be the biggest, but Mount Fuji is certainly one of the most iconic volcanoes on Earth. Steeped in religious and cultural significance, Fujisan – as it is known in Japan – is classed as a religious centre and a World Heritage Site for culture. Almost 200,000 people work their way up the side of the volcano each year, with times ranging between four and eight hours. Mount Fuji climbing season officially begins on July 10th and runs through until September 10th, with it closed off the rest of the year due to adverse conditions. For the best experience of the stunning views it is advised that you aim to reach the summit for either sunset or sunrise. Though it is busy and you will feel it in your legs once you start getting close to the top, it is totally worth it and a must if you are in the area during the summer. If you’re in Osaka during the summer months, head to Shirokita Park and the Sakuya Konohana Kan, where the exotic flowers burst into bloom. Osaka manages to cater for both those looking for a quieter time and those looking to throw themselves in the deep-end. For the latter, check out the biggest festival in the area, Tenjin Matsuri where a fleet of brightly coloured barges travel up the city’s rivers bringing together lively performances and fireworks. Elsewhere, Osaka Castle is a beautiful site to visit in the warm summer season, or you can visit the many festivals that celebrate the rice harvests throughout July and August. 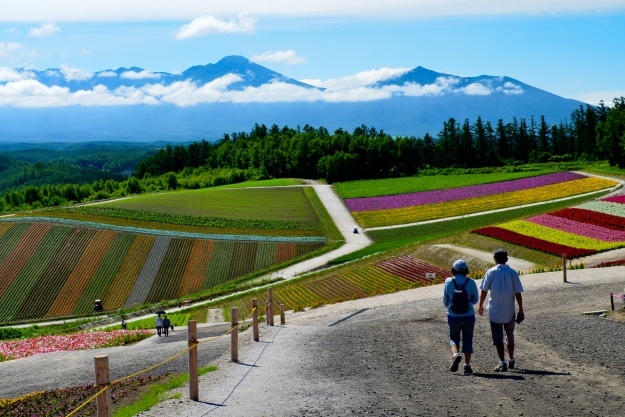 Home to just five per cent of the country’s population, Hokkaido is Japan’s wild frontier. A far cry from the modernisation you find in the major cities, this is the northernmost and least developed of Japan’s main islands. You would be forgiven for picturing Japan as a blend of beautifully untouched rural countryside with neon-bright skyscrapers. You probably didn’t think of a tropical paradise. 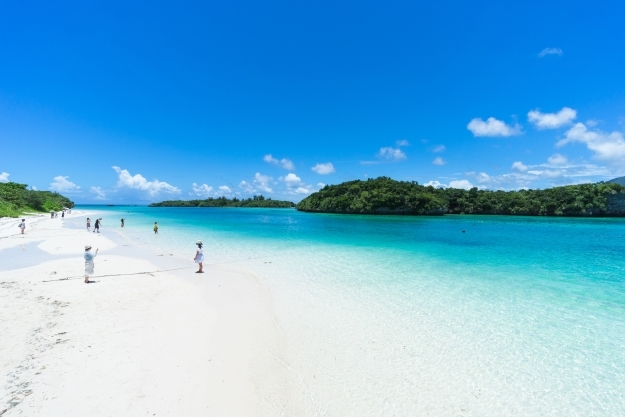 If you were to head off to the islands, Stefan and Sebastian would recommend dividing up your time between Ishigaki Island and Iriomote, allowing you to discover the Japanese rainforest and one of the most secluded parts of the country. There is no way around it, Japan is hot and humid during the summer months. You will be rarely offered a moment’s respite but the summer is the liveliest time of the year. 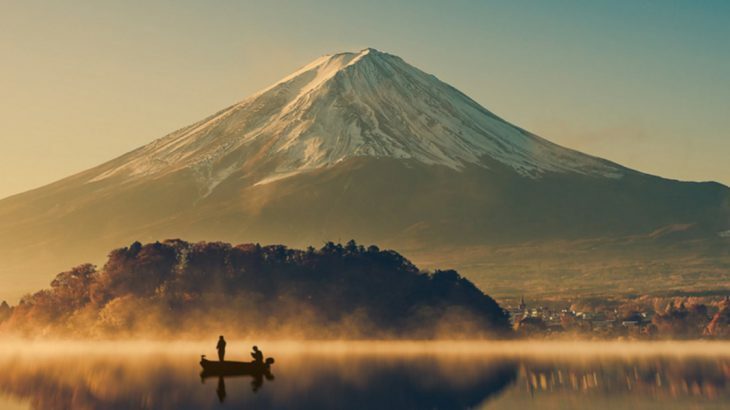 If you are looking for a holiday to Japan you know that you’ll be treated to surreal scenery no matter the time of year, but at least you can be sure that the warmer months are full of festivities and that you now know exactly what to do in the summer in Japan. Japan culture, festivals, Japan, summer, top things to see, wendy wu tours. permalink.